Good morning folks, I’m posting from Washington DC today, where I’m again hanging out for a few days for work. But just because I’m working, that doesn’t mean I’m slacking. 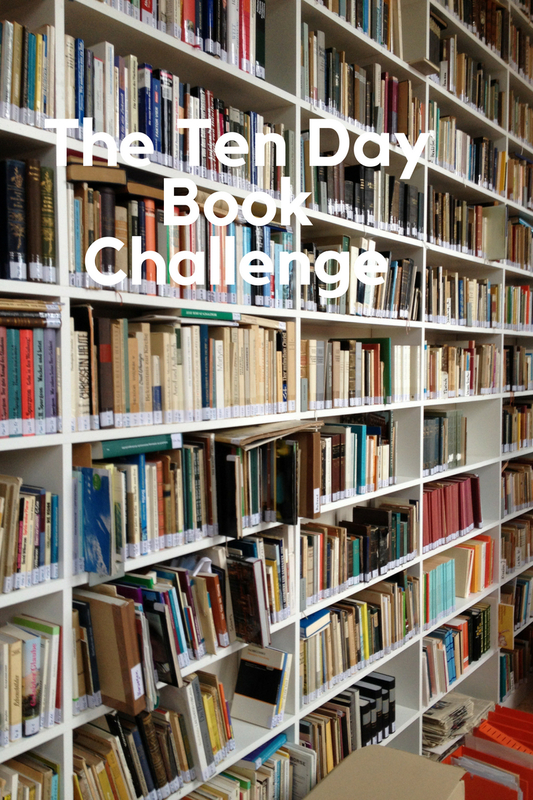 So let’s get started on Day Six of the Ten Day Book Challenge, brought to you by my cousin Matthew. Today’s book is the scariest book I’ve ever read, which I came across last year and have been shaking ever since. What book could that be, you ask? 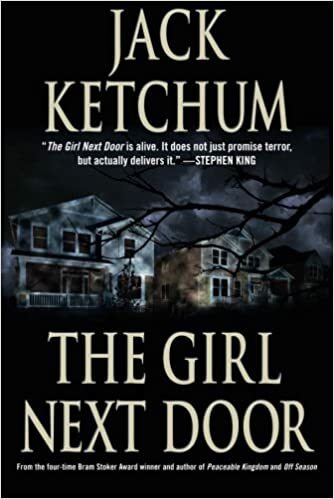 The Girl Next Door by Jack Ketchum, that’s what. I didn’t know much about this novel going in. I’d just seen it recommended to me as an audio book on Audible. It was too short an audio book for me to download (as I listen to these mainly at work and have to make them last throughout the month, I have a rule not to get any shorter than twelve hours long), I was intrigued enough to get it as a paperback. The novel follows David, a twelve-year-old living in the 1950s whose next door neighbor Ruth and her sons take in their cousins, the beautiful teen Meg and the sweet disabled Susan, after they’ve lost their parents. However, Ruth is anything but loving to her new charges, and especially targets Meg to vent her anger at them and at life. But because Ruth is so popular with the kids, who see this awful abuse, many don’t do anything to stop it. In fact, some help out with it. And David will have to make a decision about what to do about this as the level of abuse intensifies. This novel is terrifying. For one thing, the level of brutality isn’t glossed over, but exposed in terms that leave nothing to the imagination. You see every injury, every attack, every bit of indifference to the suffering of others. It was so horrifying and tragic, there were times I had to put the book down just to process it and keep my equilibrium. It’s even scarier when you find out that it was based on a real story. Yeah, that’s true: there was something similar that happened in the 1960s, and it’s just as scary just reading the details about it. This makes me wonder, was this novel an attempt by Ketchum to make sense of a tragedy he likely read about in the newspaper or on TV while in his late teens? Or did he already understand, and was trying to make us ask and understand too? I’m going to caution anyone who wants to read this novel. It is intense, it is terrifying, and it is world-shaking. If you do decide to read it, I hope you have the stomach for it. Next up, I’m tagging my friend Dellani Oakes. Have fun, Dellani! I can’t wait to see what you post. Well, that’s all for now. I’ve got to be somewhere soon, so hi-ho! Hi-ho! It’s off to work I go. Yeah, I made that reference, and I proudly stand by it. Until next time, pleasant nightmares!